I picture my daughter, ten years from now, sitting in her college counseling center and telling her counselor that her mom is a therapist. I see the therapist nodding, and with a raised brow, scribbling some notes (Mom: therapist–able to care for her clients but not her own children. Typical. Explore this). There’s a reason I stress the power of reparative work with my clients as they raise their children, and it’s that I need to do it myself. Last night I really fumbled with my 8 year-old daughter. She approached me using her code phrase, “I need to turtle dum you” which means she needs some one-on-one talk time (I have no idea where that phrase comes from). So, we sneak away from the prying ears of her little sister, lay on her bed, and she goes on to tell me how at recess she confessed her love to her schoolmate crush. Apparently, the boy freaked out and ran away. She says he hasn’t spoken to her in 4 days. “Well, maybe he didn’t know what to say,” I offer. She just turns on her side, away from me. “That sounds hard.” She comes back and proceeds to sadly talk about two other girls that he likes. “Well, if he likes someone else, then he’s missing out on you, and then maybe it’s not a fit.” Again, she turns away and sobs, “I hate those girls. They stole him!” Here come two lectures: How and why we can say we don’t like people but not that we hate them (“BUT I DO HATE THEM!) and “it takes two to tango.” She glazes over. “They didn’t steal him, honey.” “YES THE DIIIID! THEY TOLD HIM THEY’D GIVE HIM A CROUTON IF HE WENT WITH THEM AT RECESS INSTEAD OF MEEEE! AND HE LEEEFT MEEEE!” Now, besides almost laughing, I’m angry at this fickle kid and say, “Well, if he likes croutons more than being friends with you, that’s not a person to like.” I don’t know what I was expecting. I thought maybe I could get her angry at him too. Then her little heart wouldn’t hurt, right? “YOU’RE MAKING ME FEEELL SO MUCH WOOORSE! !” she wails. “I DON’T WANT TO TALK TO YOOOOOUUUU!” But, I care about you, but I just want you to understand that, you’re not hearing…, but, but I say. Do you know the phrase, “the shoe cobbler’s children go barefoot?” That’s what was happening here. Where did all my counseling skills go–even the basic ones? Did I really need to give my 8 year old life lessons about love at that moment? Did I need to critique her choice in men? No, what she needed was someone to hold her and be with her when while she was hurting. Now, not only was she hurting over this boy, but now there was a rift between her and me. I added to her pain in my desperate attempt to eliminate it. Stop I tell myself. Slow down. “Honey, I’m sorry I’ve been saying a bunch of stuff that doesn’t matter and made you feel worse. That was wrong. This whole thing sounds so hard. You’ve been so hurt. Come here–let me hold you.” Rift mended. I’m holding her in my arms and she’s calming down. The good news is that reparative moments really do repair, and I’m thankful for my daughter’s graciousness towards me in those moments. After school on Monday, I will ask her how things went with Romeo and just listen and use the skills I have in being a safe presence for her. I will say, though, that I am tempted to pack croutons in her lunch so she has some leverage with that kid, but I think I’ll let that be. 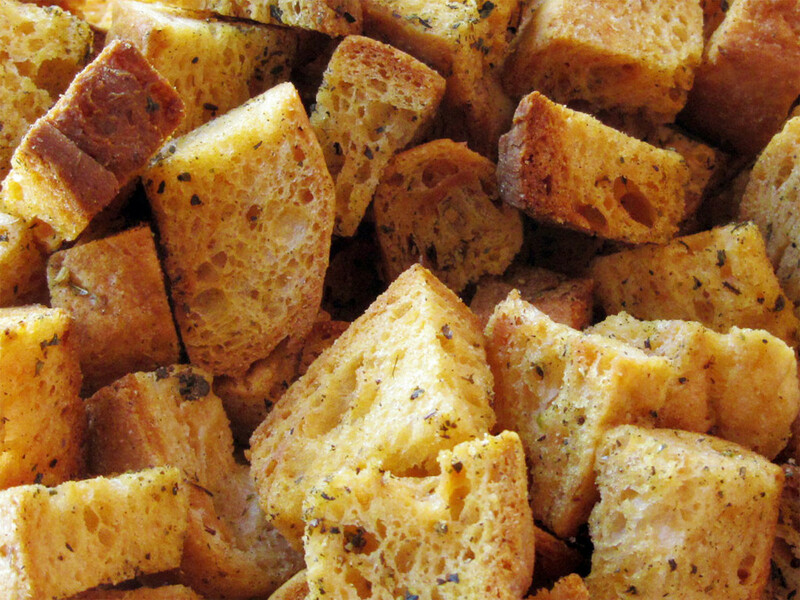 Those damn croutons…;) Loving your blog. Can relate to this! So great of her though to send those (maybe not-so-subtle) signs that she wanted more from the talk. I love that children give us many opportunities to repair.